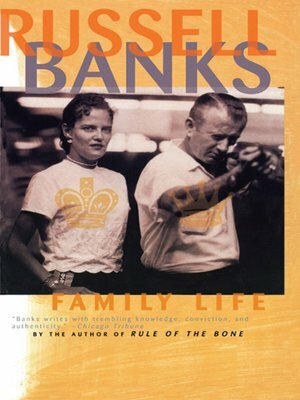 In Family Life, Russell Banks' first novel, he transforms the dramas of domesticity into the story of a royal family in a mythical contemporary kingdom. Life inside this kingdom includes the king (dubbed "the Hearty" or "the Bluff"), who squeals angrily as is his wont; the queen, who, while pondering the mirror in her chambers, decides to write a book; three adolescent princes who are, respectively, a superb wrestler, a fanatical sports car driver, and a sullen drunk. Then there are the mysterious Green Man with a thing for princess; the Loon, who lives in a tree house designed by Christopher Wren; and a whole slew of murders, mayhem, coups, debauches, world tours, and love and loss and laughter.